In a market characterized by high prices, tight inventory, and unflinching competition, inexperienced first-time home buyers may find themselves overwhelmed and outbid. However, an abundance of low down-payment programs designed to serve first-time buyers coupled with historically low interest rates mean a highly prepared and motivated buyer can effectively break into even the most competitive housing markets. Here’s what you need to consider before making the transition from renter to owner in 2018. Unless you have enough money set aside to pay cash for your home, you will want to meet with a lender before beginning your search. Many first-time home buyers view mortgage pre-approval as unnecessary or inconvenient. However, getting pre-approved by a lender before beginning your search saves time and ensures you shop within your means. Not only does a preapproval letter indicate you are a serious buyer, placing you at an advantage over non-approved buyers, it is often required to place a bid. Because lenders assess current credit history, income, assets and debt when determining pre-approval, prospective home buyers should resolve any outstanding issues and debts before applying for a mortgage. The higher your credit score, the easier it will be to acquire a loan with a lower, more competitive interest rate. Meanwhile, applicants with low credit scores (below 620) may find it far more difficult to get approved through traditional banks and lenders. Keep in mind every situation is unique and there are a handful of exceptions. For example, saving up for a larger down payment reduces the amount you need to borrow, raising your likelihood of being approved for a mortgage while saving you a significant amount of interest. Additionally a down payment of 20% of the home’s purchase price may qualify you to avoid costly Mortgage Insurance Premiums (MIP’s) or Private Mortgage Insurance (PMI). Prospective home buyers with poor credit and very little set aside for a down payment may opt for government-insured mortgages issued by the Federal Housing Administration (FHA). These loans have some of the most lenient eligibility requirements available to borrowers and are therefore incredibly popular amongst first time home buyers. Individuals with credit scores as low as 500 can qualify for FHA loans with a 10% minimum down payment and those with a 580 score or above for as little as 3.5% down. Despite the appeal of low-down payment options like these, they come with one huge downside. FHA requires both upfront and annual mortgage insurance for all borrowers, regardless of the amount of down payment. These premiums are designed to protect the lender—not you— against losses that result from defaults on your loan. Consider your options carefully and see what makes sense financially. When placing an offer, many first-time buyers have a tendency to focus on the home’s sticker price and the mortgage payment, failing to budget for closing costs (2% to 5% of a home’s purchase price) and overlooking other costly expenditures. Recurring costs such as property insurance, homeowners association fees, routine and unplanned maintenance costs, and rising utility rates add up quickly, leaving new homebuyers with little to no financial flexibility and cumbersome debts. Taxes and home insurance alone can almost double your mortgage payment, which upon consideration, makes a purchase on a home that meets or even narrowly exceeds your budgeted pre-approval amount a far less attractive option. Buying a home can be a difficult, confusing, and extremely involved process. Be sure to ask questions and consider your options carefully before settling on an agent. Don’t choose an agent based solely on experience. Yes, experience is important but there are many other factors to consider. Does he/she take the time to understand your specific needs, follow up promptly, and offer timely, meaningful advice and suggestions. A good agent is an active listener, skilled negotiator, and trustworthy individual that respects your time and works hard to achieve your specific goals. Keep in mind that even if the seller’s price is rigid, the contract and closing date are open to negotiation. In this regard, an assertive seller is just as valuable as an attentive one. Be sure to inquire as to your agent’s past experiences at the negotiating table and the tactics he/she employs, especially when dealing with multiple offers. Check for credentials that may indicate additional training in areas of expertise relevant to you, the buyer. CRS (Certified Residential Specialist) requires an agent to complete additional training in handling residential real estate and ABR (Accredited Buyer’s Representative) designation is awarded to real estate professionals who have met the educational and practical experience criteria required by the Real Estate Buyers Agent Council. Both certifications are intended to prepare real estate professionals to better serve and represent buyers in the real estate transaction process. Lastly, your agent should know the local market inside and out. An agent that understands and is in tune with the local market—in terms of pricing an inventory—and stays on top of listings, can make all the difference. March is National Women’s History month. We at the Bernard Johnson Group, Inc. recognize the many challenging roles women play within their communities, homes, and places of work. 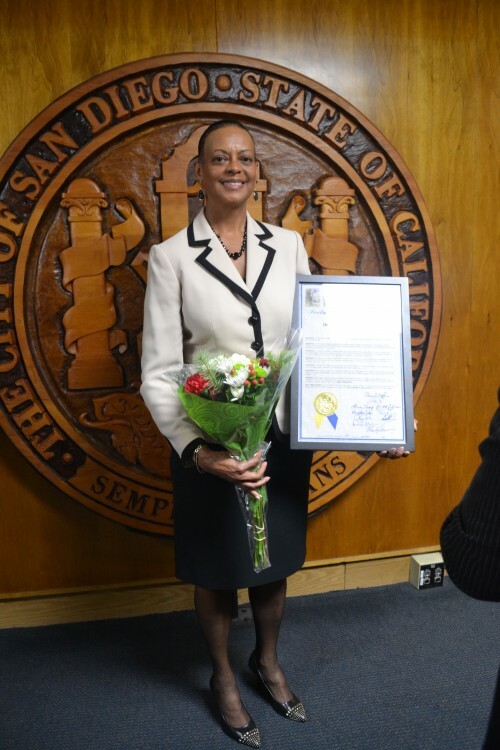 This month, we would like to formally recognize a dear friend and associate, Dr Suzanne Afflalo, for her continued commitment to fighting and preventing chronic disease within at-risk, low income communities. 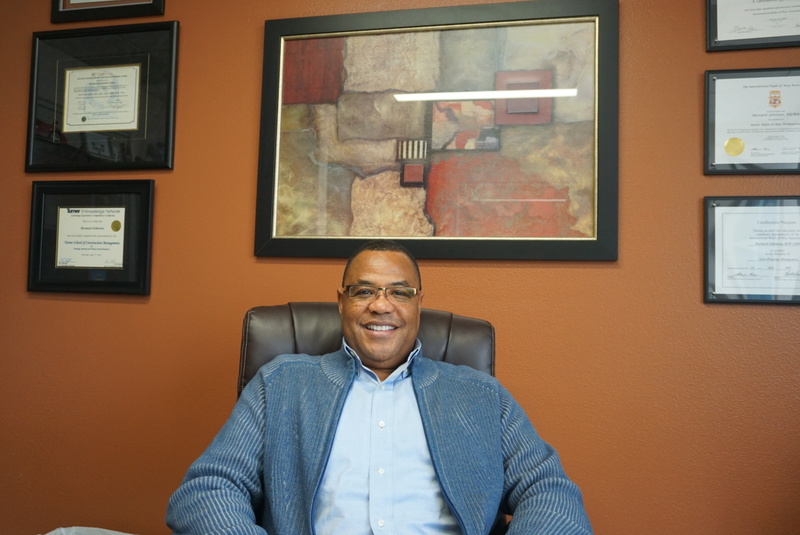 Having retired from Kaiser Permanente in 2015 after a 23-year career in family medicine, Dr. Afflalo continues to serve the community, making healthcare accessible outside of the more traditional clinical setting. Partnering with Kaiser Permanente and Susan G. Komen, Dr. Afflalo leads and directs a public health event the third Wednesday of every month, offering a diverse set of free health services. 3-D Mammograms, blood sugar and diabetes checks, HIV testing, Hepatitis C testing, vaccines, dental screenings and mental health services are offered, among many others. In Spring of 2014 Dr. Afflalo created and implemented “A Healthier Me,” a 6-month program to improve participants’ health and overall quality of life through sustainable lifestyle and dietary changes. Afflalo works directly with local churches and their congregants within low-income communities wherein cardiovascular disease-related deaths have historically proven to be more prevalent. Health education, nutritional advice, and group exercises are central to the program. Meanwhile blood pressure and weight are recorded upon attendance, tracking participant progress in a results oriented fashion. BJG understands that a community can not thrive unless its members have equal access to opportunities and resources that enable individual growth and success. Identifying healthcare and education as fundamental resources crucial to the advancement of all people,” Founder and CEO Bernard Johnson teamed up with Afflalo earlier this year to help “A Healthier Me” establish non-profit status. Patsy Johnson, BJG Vice President, participates in Dr. Afflalo’s ongoing monthly community outreach events, a cause that has attracted other members of the BJG Family. Q: Why is it so important that America invests in its infrastructure? A: Anything that is man made requires inevitable maintenance and improvement. It is natural and expected that as time passes and cities continue to experience growth, their existing infrastructure will age and deteriorate. Because infrastructure is the backbone of this country– and every major industry is reliant upon it–America must be willing to invest. Q: What are some fundamental changes we should expect to see in energy, infrastructure, and transportation in CA in the next 5 to 10 years? A: The demand for alternative forms of energy is higher than ever. As the production of biomass facilities and solar panels within the states grows to meet this demand, the US will better positioned to dominate these markets locally and globally. Furthermore, as our society transitions towards more sustainable forms of transportation infrastructure, such as light rails, people will experience mobility without heavily relying upon roads and automobiles. Q: How will the CA High Speed Rail affect the lives of everyday Californians? A: With less people commuting on roads and highways, congestion in major cities will decline. We will be able to move more people, faster, and in a more reliable way. The California High Speed Rail will create jobs, some shorter term, but many long term. It will attract tourism throughout the state and restore the economy of the central valley by ushering in new development. Q: Why do you think some people oppose it? A: More obvious reasons related to costs and uncertainty regarding whether or not the rail is economically viable. Some oppose the routes that have been chosen, others harbor environmental concerns, while many simply oppose change that they cannot control. Q: What major Sustainable project(s) are you looking forward to seeing/working on in 2018? A: California’s long awaited WaterFix project, The Houston Bullet Train, and more high speed rail projects to come.